When it comes to planning weddings, much thought is often given to what seasons to choose and the very best months and days to select for that all important date. Yet in the midst of ensuring we get the weather forecast right to avoid the likelihood of a snowstorm or a torrential downpour on our special date, we often forget that there are other key factors which make all the difference when it comes to planning the dream wedding we deserve. Running a Pittsburgh wedding photography business, I can attest to the fact that one of these most frequently overlooked factors are wedding dates which are best avoided. If you are wondering what other factors would necessitate putting a particular date aside, other than inclement weather, I invite you to keep reading this post to discover just what pitfalls to avoid when planning your dream wedding for 2019. National Holidays: Planning for weddings on national holidays can turn out to be a logistical nightmare. One of the reasons for this is because the demand for vendors and venues tends to sky rocket. Hence planning your wedding on the 4th of July or Thanksgiving may not be such a great idea. Dates which fall close to them are also best avoided too since they are bound to be affected by the same inflated prices and general scarcity of vendors. 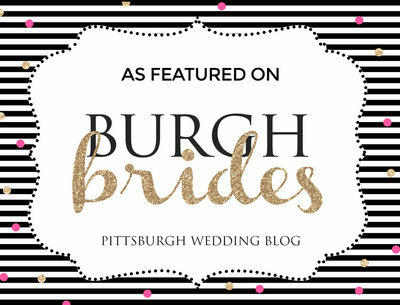 Key Sporting Events: Being a Pittsburgh wedding professional means I have had to navigate more than my fair share of occasional logistical issues which arise from working in a city known for its love of sports. If there’s one thing I can suggest, it’s the fact that planning a wedding during major sporting events can turn out to be a tad more demanding than usual. Most people often spend months planning family outings to cheer on their favorite teams. Avoiding such dates is one means of increasing the likelihood of being surrounded by as many of your favorite people as possible on your special day. Religious Holidays: Requesting that your minister at your place of worship officiate at your wedding on a significant religious holiday might earn you a quizzical look. Especially since places of worship tend to be filled on those days with numerous services being held making it a particularly busy time for the clergy. As can be expected, getting to schedule both your favorite minister and place of worship might prove to be a tad difficult during such periods. There is also the fact that your guests might have planned an important family get together and would therefore have to rule out attending your celebration. Key holidays to look out for in this regard include Christmas, Easter (21 April 2019) and Hanukkah (22 December 2019 – 30 December 2019). Who would ever have thought there were so many dates that could do with being avoided? Well the great news is that being aware means you can go right ahead and plan for the wedding dreams are made of and best of all, capture it all in an amazing wedding photography session, thanks to your new found knowledge.